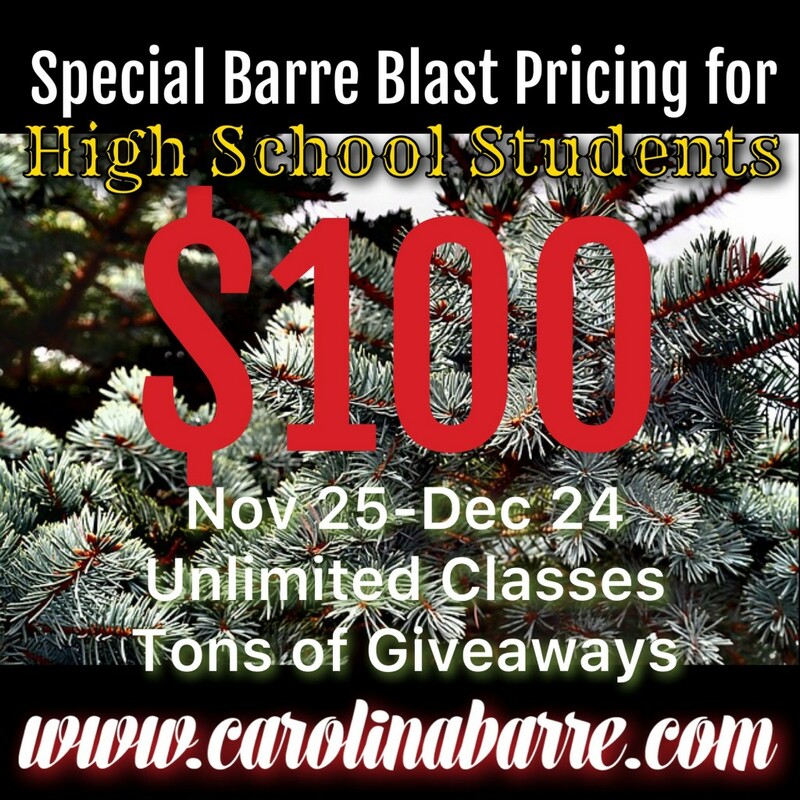 Smarty Alert: Carolina Barre & Core's Teen Barre Blast is here! Home Health	Smarty Alert: Carolina Barre & Core’s Teen Barre Blast is here! Smarty Alert: Carolina Barre & Core’s Teen Barre Blast is here! Ask and you shall receive. That’s just what we did with our besties at Carolina Barre & Core. We all live for the Barre Blast special during the holidays. Well our teens need it too. So we asked for a Smarty discount on teens, since they are students and are always out of ca$h:-) And CBC delivered! Register NOW: Click here to score this holiday deal! Our goal is to FILL the daily 4:30pm classes with Smarty teens! My Plym teen will be there for sure, with bells on! Sunday Smarty Share from SHARE Charlotte: Oh Baby, What a Great Cause!